Ever since 2010, various rounds of cooling measures were introduced to Singapore’s property market to curb the booming home prices, with the Additional Buyer’s Stamp Duty (ABSD) being the most impactful of all for foreigners – hitting them with an additional 15% charge (based on the purchase price) when they acquire a private residential property in the independent sovereign state. Recently, the high-end luxury condo segment is showing strong signs of recovery, with many of the newly completed projects such as Gramercy Park and Leedon Residence experiencing an explosive pick up in sales for the past year. Based on stats and references from property portal, EdgeProp, here are some of the most expensive non-landed homes being sold in Singapore. Located within the prime Ardmore Park precinct in District 10, the Sculptura Ardmore is possibly one of the most luxurious condominiums ever constructed by renowned property developer SC Global. In fact, SC Global has a high-end branding written all over them as they have developed some of the most iconic properties in the prime districts of Singapore – with The Marq on Paterson and Hilltops making the top of my list. 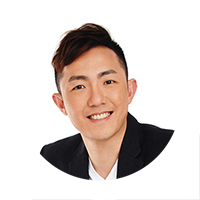 It was believed that the 10,300 square feet (sq ft) super penthouse at the 34-unit Sculptura Ardmore was sold to the co-founder of Facebook and one of Singapore’s wealthiest men, Mr Eduardo Saverin for over S$60 million (or S$5,825 psf) back in August 2017. The main draw of the 36-storey Sculpture Ardmore would be its aesthetically brilliant architecture and well-designed internal spaces, sitting within the exclusive private enclave within the Ardmore precinct. The project was completed back in 2014, comprises of mainly 4-bedroom apartment units, with sizes varying from 2,800 to 4,000 sq ft and 4 units with private pools sized in the range of 4,200 to 10,300 sq ft.
Wing Tai’s Le Nouvel Ardmore was probably the most-talked project before Mr Saverin’s purchase at Sculptura Ardmore as its 2-level 5-bedroom penthouse (13,573 sq ft) was sold to one of Alibaba Group’s co-founders, Mr Sun Tongyu for a whopping S$51 million (or $3,757 psf) back in April 2015. On top of the quality interiors and vast living spaces, Le Nouvel Ardmore was designed by one of the world’s most renowned architects, Mr Jean Nouvel – with the inspiration drawn from the Rubik’s cube. 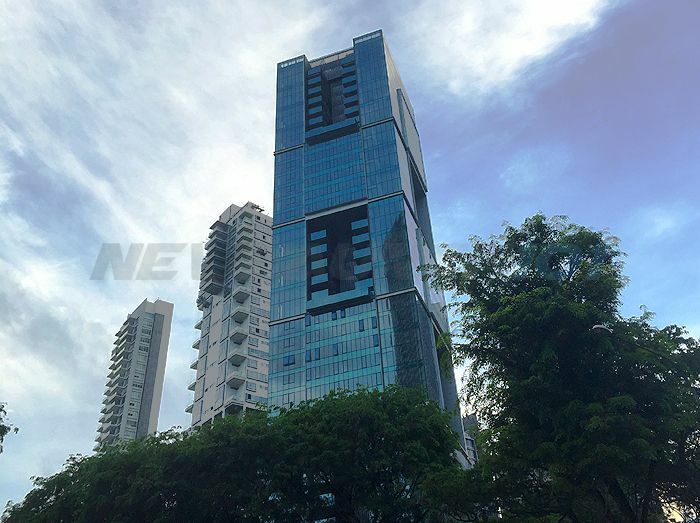 Standing tall at 33 storeys, Le Nouvel Ardmore was completed back in 2014 as well and it comprises of only 43 exclusive units with each unit exceeding a size of 3,800 sq ft – selling at no less than S$23 million presently. Sitting just diagonally across one of Singapore’s most iconic shopping malls, ION Orchard, TwentyOne Angullia Park is China-Sonangol’s (now known as CS Land) flagship property project here in Singapore. Back when property prices peaked in 2013, the 7,718 sq ft luxurious penthouse at TwentyOne Angullia was sold to a Malaysian Businessman for S$42.9 million (or S$5,560 psf) back in June 2013. It was also reported that he have also snapped up a 3-bedroom unit (2,260 sq ft) in the development, for S$11.53 million during the same time. Amid pressure from the surrounding new luxury condo developments, such as OUE Twin Peaks and Ardmore Three, selling prices at TwentyOne Angullia Park have also been pretty much subdued – with a 4-bedroom unit being sold at only S$8.3 million (or S$2,989 psf) back in July ’16, which is the lowest price ever transacted at TwentyOne Angullia Park, below the S$3,000 psf mark. Nothing beats having a property in Singapore with a prestigious Nassim address – and the affluent locals know that for sure. In January 2017, one of Singapore’s wealthiest men, Mr Wee Cho Yaw acquired a total of 45 units at The Nassim (all the remaining ones which are unsold) for a whopping S$411.6 million. This bulk purchase got developer CapitaLand out of a sticky situation for the 55-unit up marketing condo, which they will have to pay a penalty to the government if there are unable to sell off all of its units at Nassim Hill within a stipulated timeline – which is projected to be in millions. However, the top deal at Nassim Hill was, in fact, a resale unit – which was transacted for S$25.57 million (or S$2,750 psf) back in May 2017. Still within the Nassim precinct, one of the units (6,878 sq ft) at luxury condo Nassim Park Residences was transacted back in April 2015 for a hefty S$22.5 million (or S$3,271 psf). The high-end condo was a joint-venture between UOL Group, Kheng Leong & Orix Capital, and brilliantly designed by renowned architect Chan Soo Kian of SCDA Architects. Nassim Park Residences comprises of only 100 private 4-bedroom apartments (sizes ranging from 3,175 sq ft onwards) and penthouses (from 6,803 – 8,008 sq ft). Despite a subdued property market for the last couple years, prices at Nassim Park Residences have remained resilient and have been holding to a strong price point of more than S$3,000 psf since 2010 in March. Last but not least is the newly constructed freehold Gramercy Park by City Developments Ltd (CDL), completed back in 2016. It was previously reported that a Cambodian buyer picked up a 5,533 sq ft penthouse at Gramercy park for S$17 million (or S$3,073 psf) back in July 2017. However, this deal was topped just a month later with another unit (7,287 sq ft) sold at S$21.86 million (or S$3,000 psf). The 174-unit private condo along Grange Road comprises of 2-bedroom to 5-bedroom penthouse units, sizes from 1,184 to 7,287 sq ft , spreading across 24 storeys on both the North and South Towers and according to CDL, their next focus will be the launch of New Futura at Leonie Hill. I would like to view the above luxury condos and receive priority information. Thanks. What happens to leasehold properties as their tenure runs out?